First Match of the Season Brings the First SENE Victory! Our first match went really well. RHS won 6-1. Some great matches, Hadley Martinez and John Bergstrom (2 doubles) won a close match in a tiebreaker. Eli Levy (1) and Elsa Block (2) won easily after some great adjustments. The overall team played great for our first match. For many, their first high school match. On a cloudy afternoon, the Mariners overcame a slow start to beat the Blues, 7-5. 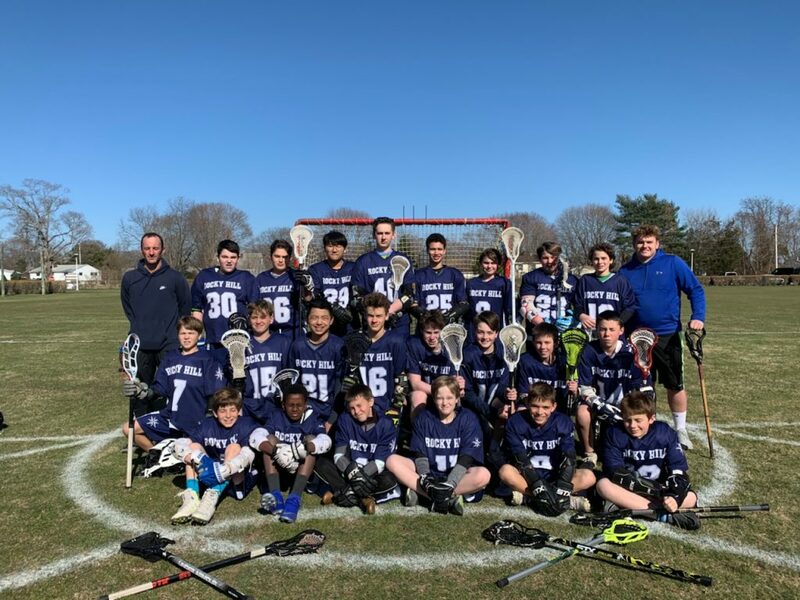 Kobe Polley and Davis Lee each scored thrice in the win, and Dylan added a beautiful quick stick goal in the fourth quarter. The Mariners have nearly a week off before their first road test at the Gators of Brimmer and May next Thursday. Rocky Hill pulled off a decisive 17-4 win against Classical yesterday. Goals were scored by Charlotte Boss, Chloe Ponte, Kaeley Zito, Sara Laurent, and Rachel Arabian who had the big hat trick! Johnette Williams, Cassie Reyes, Ptolemy Tassone, and Tamira Lopes gave a strong performance back on defense. Aviva Beringhause had 11 saves. Go Mariners! 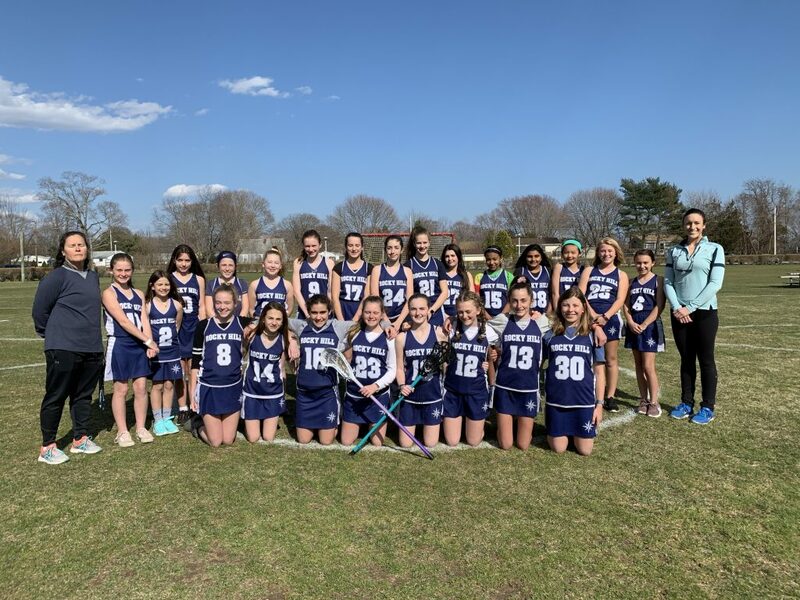 The MS Girls LAX team had an excellent game on Wednesday. They focused on passing and running plays inside the fan. The goalies had a combined total of 5 saves, assisted by a strong defense consisting of new and experienced players. By the end of the game, RHS had 15 goals scored by 6 players. 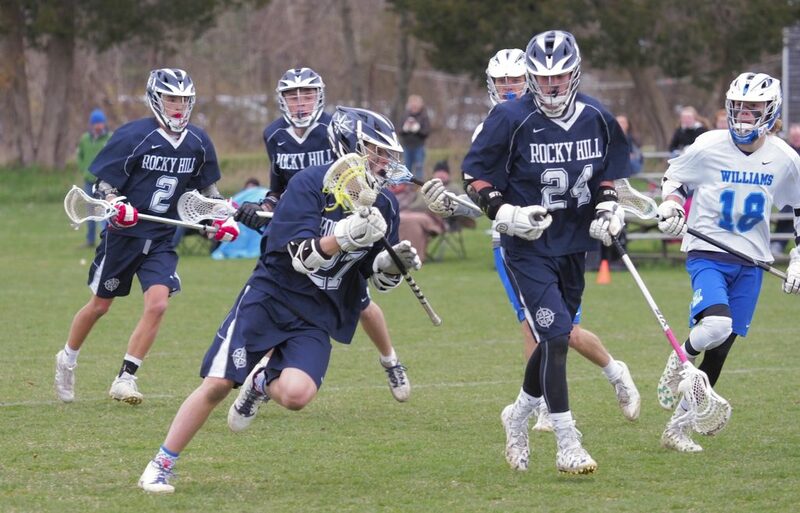 Kobe Polley and Nick McConnell scored five goals apiece as Rocky Hill rolled to a 16-5 victory. Congratulations to Kirk Webster on winning his first game as a goalie! 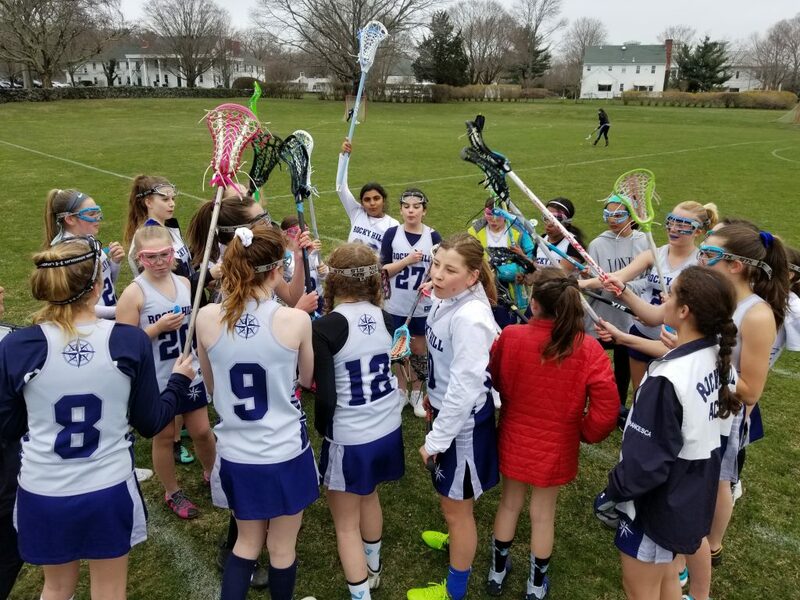 The MS Girls LAX team had their first home game this week. With an early lead, every player played for a large portion of the game. 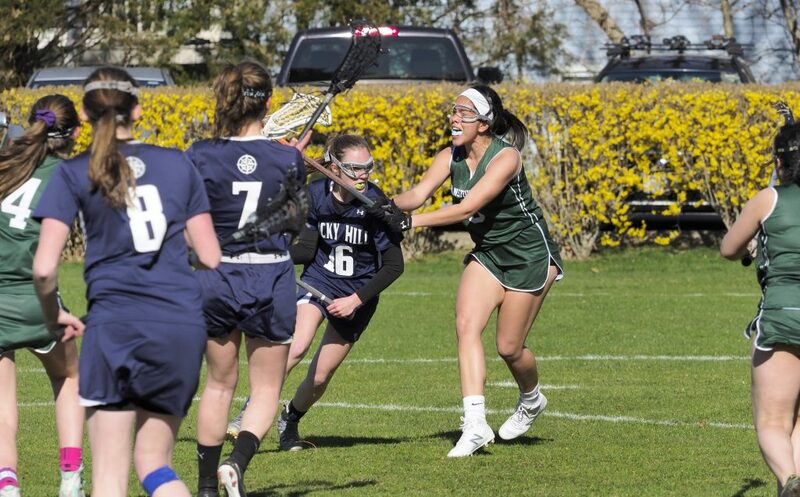 Our new players impressed us with their determination, many of whom had never played lacrosse before this season. They finished the game with 12 goals scored by 7 different players. 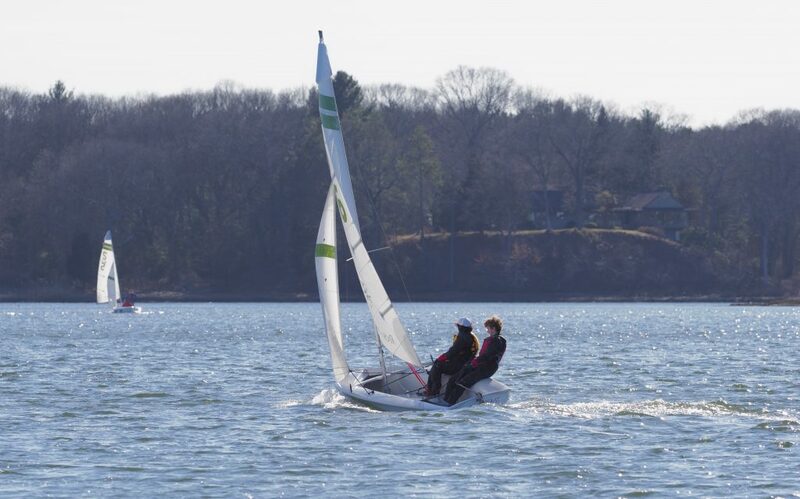 The RHS sailors competed in a fleet race against nine other schools from around Narragansett Bay on Friday, April 5. In a fleet of 18 boats (2 from each school) Perry Clark and Paul Ritter best finish was second place in a fleet. Ben Liebermensch and Steven Miao had two fifth place finishes. Will Hanney’s and Oliver Raposo’s best finish was sixth. RHS finished eighth overall. First Away Game = First Away Victory! 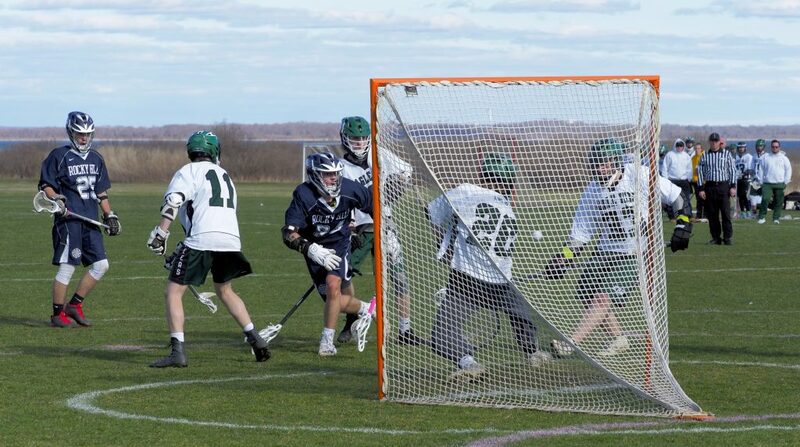 Rocky Hill beat Toll Gate in a gritty 10-6 victory. Rachel Arabian had a standout game on attack with 2 assists. 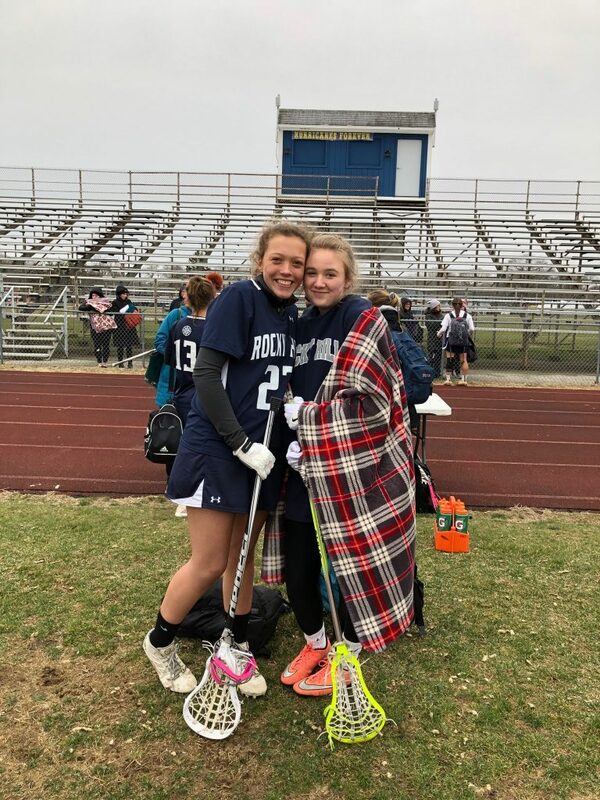 Charlotte Boss had 5 goals, Kaeley Zito had 4, and Chloe Ponte had 1. Aviva Beringhause had 18 saves! Go Mariners! Mariners Season on the Water Begins! 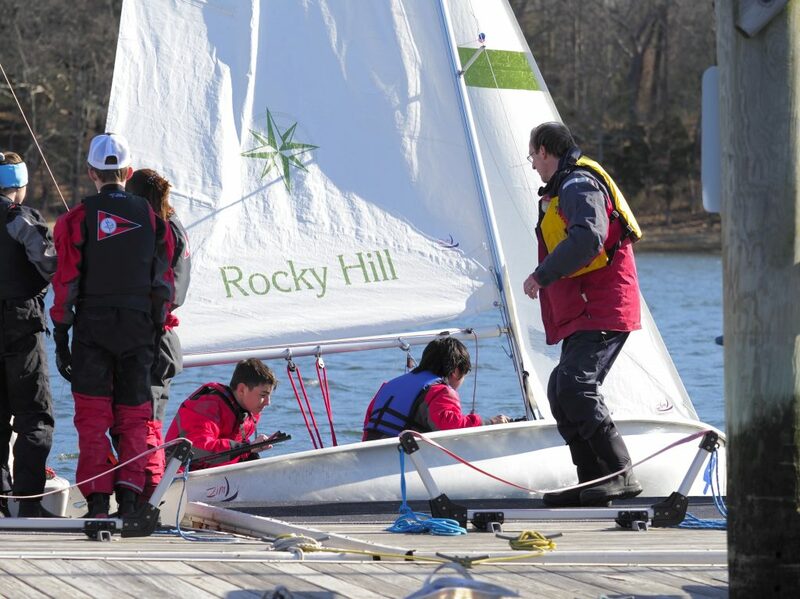 The Rocky Hill Mariners hosted the Rogers High School Vikings for a team race on Monday, April 1. While the dynamic duo of Perry Clark and Paul Ritter won two races and came second in two more, the Mariners were bested by the Vikings in the over all racing on a sunny, gusty afternoon on the Potowomut River.